If your car is older than three years, then by law, checking your car for safety once a year is a must. When it come to MOT, everybody thinks about the cost. And that is why you should come to ADC Auto Repair to get your MOT done because we provide low cost car MOT services. Our professional mechanics will carry out all MOT tests and determine if your car has met the minimum requirements for environmental standards and road safety. As you may already know, you will not applicable for car insurance and road tax without a valid MOT certificate. When to renew my MOT? Once your car is three years old, it is a must to renew your MOT every single year. Technically this is from the date it was manufactured. MOT certificate is valid for one year. 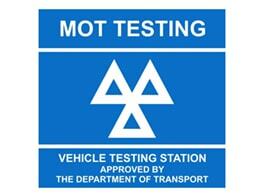 All MOT certificates should be renewed within a month before your existing MOT certificate expires. At ADC auto repair we offer massive saving compared to other garages in Birmingham. We will also make sure that your car's warranty is never affected. Our garage in Smethwick, Birmingham is easily accessible by car. It is only few minutes away from Birmingham. Since we provide great flexibility in customer service, you can give us a call and book your time slot for the MOT service of your car. ABS or anti- lock breaking is not a modern revolution of car breaks. ABS has been around for almost hundreds of years. World war II air craft had anti-skid breaking system which helped them smooth landing and taking off. With this revolutionized inventory, cars and trucks had the ability to use it as more effective and smooth breaking system to control vehicles during specially in slippery conditions. In a conventional skid, you have no steering control at all and the your car will move in the direction of the skid. Although Anti lock breaking system seems complex, it’s really simple. If you happen to come across a skid while braking your vehicle, the ABS control unit feels a slowdown in car wheel rotation. This will help you to modulate brake application to help you steer your vehicle at the same time you apply breaks. At the very beginning, ABS systems were hydro mechanical. They were controlled mechanically to modulate break application. Now it is all computer controlled. ABS sensors are generally magnetically started. When reluctor’s teeth pass the ABS sensor, the typical oscillate of wheel movements make general operation. The speed of reluctor across the sensor differ significantly when the wheels are slow down or stop. This is when ABS starts its pulse brake application. When the ABS starts to pulse, it gives hydraulic pressure to the brakes in a pulsing manner, most of the time as quickly as 15 times a second based on the ABS system you use. This process generates recurring braking which allows you some level of steering control. There are three basic types of anti-lock braking systems those are four-channel/four-sensor, three-channel/three-sensor and one-channel/one-sensor. It is said that best of these is four channel system due to its ability to micromanage breaking action in a skid by delivering the pulsing effect only to affected wheels.A three-channel system has two ABS sensors in front and one in the rear. There are two ABS sensors in a three channel system one is in front of the car and the other one is in the rear. The rear ABS sensor is in the axle housing and affects both rear brakes. The one-channel system is rear anti-lock brake only with a single ABS sensor in the rear axle housing. Generally, one-channel systems are common on trucks with rear anti-lock brakes. You should not pump anti-lock brake pedal an abrupt stop. Instead, you should apply a solid and continuous pressure on the pedal and let ABS do what it was designed to do. If the ABS system is malfunctioning, then it will be notified to the driver with a warning light. It is often one or more sensors to sense this. The most common problem of ABS happens when it get contaminated with debris or metal shavings. When the sensor wires are damaged, you can see a malfunctioning of ABS. As a result of a this type of a ABS problem, it will not work completely or it will only misbehave out of your control. In more corrosive environments or serious brake system neglect, brake fluid can become contaminated and the hydraulic control unit fails to function. If you have a malfunction in the ABS, Please bring your vehicle to ADC Auto Repair specialists in Smethwick, Birmingham. We will physically check all wiring and the break sensors first and then we will electronically double check and detect your ABS fault. Our sophisticated ABS scan tool will detect any fault. Our well- experienced mechanics will help you sort out the problem you have with your ABS system at affordable prices. Therefore whatever the problem is, repair will be much easier with ADC auto repair in Birmingham. When it come to SRS airbag replacement, what comes to your mind is the cost. And that is why we have decided to provide an exclusive service on SRS airbag replacement at affordable prices. There could be many reasons why your SRS airbag light is on or flashing. If the SRS airbag light is on the SRS system is inactive. Therefore if you happen to meet into an accident, the airbag will not come out and this will leave you expose to danger. And that why you should give priority to repair your SRS airbag module. If your car battery was drained, then that could be the reason which might cause for the airbag light to turn on or flash. Once the battery is fully charge, this will be back to normal. However, depending on your vehicle and your safety, we strongly suggest you to bring your car to ADC auto repair in Birmingham for a proper scan of SRS airbag module at low cost. The main function of the airbag clock spring is to keep continuity with the electrical system. As the steering wheel turns, it maintain the stability by coiling in and out. After many years this could have an intermittent connection which will result malfunctioning of the SRS module. The only method to decide if your clock-spring is not working is to bring your vehicle to ADC Auto repair Birmingham and have it scanned by one of our mechanics. The most common location for the air bag module in lots of vehicles is underneath the driver or passenger seat. Therefore, module can exposed to moisture and get corroded. 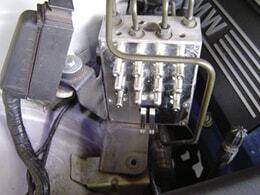 A short-circuit module will generate singles out and then airbag light could be flashing or on. The best answer for this is to replace the module as the water damaged modules could give so many error codes. As mentioned above, you cannot exactly say the cause for malfunctioning your Airbag module. Therefore, it is better to bring your car to a professional car mechanics like ADC auto repair in Birmingham and have it professionally scanned. 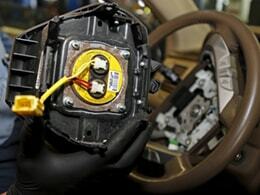 Buying a brand new SRS airbag module at the car spare part shop is an expensive way, but here at ADC auto repair, we will give you low cost labor charges for installment and programming. Engines today are a lot better than they used to be. But they still need your attention. Most of the engines generate heat in the compression process. So it is the job of the cooling system to dissipate that heat to the outside air. Now water is a great medium for dissipating the engine heat. Only problem when we have water in the system, that is going to allow corrosion build up on the internal passages, and as well as in the cooling system components. There are lot of problems with freeze protection. As you may know, water freezes at 0 degree of Celsius. In the winter it is necessary to add a coolant to it. It is glycol based chemical to adjust the freeze point of the water. Maintaining PH balance of the coolant is also an important task as you need to avoid the corrosion inside. So inspecting the cooling system at least once a year is a must. Checking the PH value of the coolant give you an idea whether you have shield your cooling system against corrosion. Checking the mixture will tell you more details as well. we do not want that to be too heavy or too thin. It needs to stay roughly in a well balance 50/50 proportions. 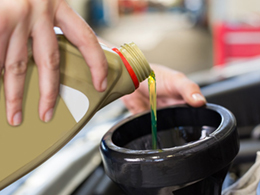 At ADC auto repair and maintenance in Birmingham, we have tools and equipments specially designed to check not only the PH balance of the coolant but also what the mixture is and its ratio. We highly recommend you to bring your vehicle to ADC auto repair and maintenance in Birmingham to investigate your culling issues. Sometimes coolant leaks occurs due to many reasons. Most of the time it will give you a bad smell which is very irritating and hard to bear. If you long drive your vehicle with a coolant leak like this, then you might get dizzy and there could be chances of accidents. This is why you should not ignore a coolant leak. Another problem that could happen with the coolant is coolant can be vaporizing when it hits the heater. This could cause that bad smell. Its dangerous, it is not safe and it is not healthy. We highly advise you to take your vehicle to the nearest mechanic. If you come to ADC auto repair Birmingham, then we have the most affordable rates on coolant leakage repairs.